As part of NaPoWriMo, the Alchemist's Kitchen Blog is facilitating a poetry book give away & I've decided to get amongst it. The bloggers involved have been asked to give away one collection of poetry they love and one collection of their own work. I don't have a collection that it solely my own but I have featured in two different anthologies. Most recently, Land Lines: an anthology of regional poets edited by Sue Gillett and a while ago, Seasons of Childhood, an anthology of poems put together by The Aardvarkers Poetry Group. 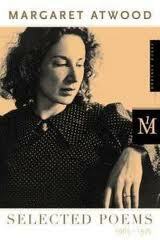 I've decided to give away Margaret Atwood's Selected Poems 1965-1975 because it contains my favourite poem ever, the first poem to give me real goose bumps and make me catch my breath: This Is A Photograph Of Me. Those of you who know it, I'm sure will know what I mean. 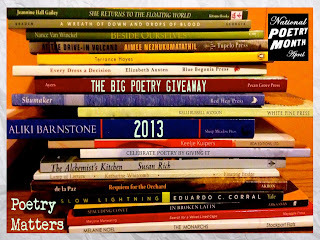 So, do you want to win a poetry book? You do? Then leave a comment below with your email address and I'll draw the winner out of a hat (or a bowl, or some other receptacle) on the 1st of May, 2013. Why not tell me who's your favourite poet while you're at it? If you're one of the winners you can let me know later which of mine you'd prefer; Land Lines or Seasons of Childhood. Follow this link the Alchemist's Kitchen page that contains the list of participating blogs to increase your poetry-book-receiving chances or to sign up if you're a blogger who would like to give away a couple of poetry books. Hello Deb. Your competition has made me smile. We regularly drive across SA to visit NE Victoria and delight in sharing our regional towns with our children. At the moment, my favourite poet is Banjo Patterson. The children laugh as we drive through Eaglehawk, discuss The Bushfire as they view immense paddocks, and are keen to go further up the highway to see Gundegai (and the maiden fair!) Waltzing Matilda is also sung with great gusto. So for this period of time, my favourite poet is Banjo Paterson. My favorite poets are Dr. Seuss and Shel Silverstein. If you draw my name, you can reach me at barriesaxxy@gmail. louise gluck is my favorite poet! 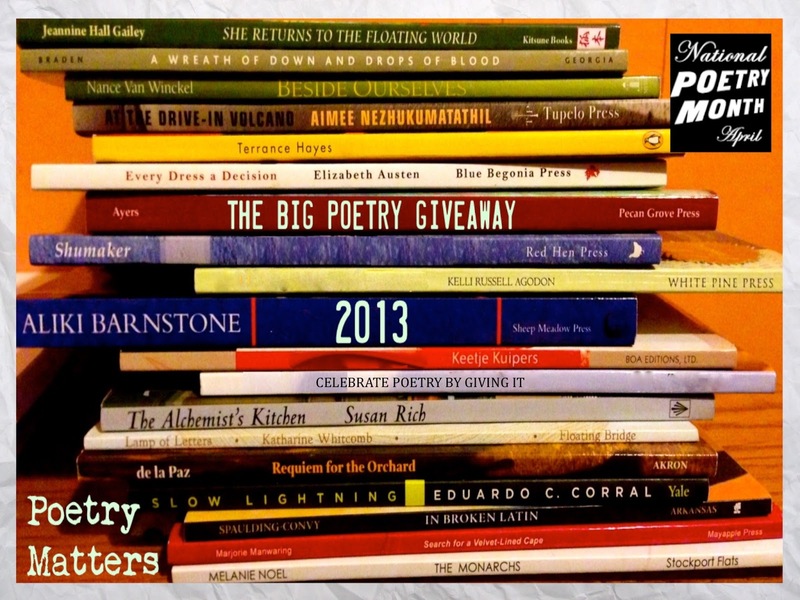 Many thanks to Kristy, Allyson, Melissa, Renee & Diane for joining in the poetry give away. Your names are in the pot! Thanks for doing this! Also, I'm going to "my totem poets": John Keats, Gerard Manley Hopkins, Wallace Stevens, and Jack Spicer. Lovely to see an Aussie poet participating. You’re welcome to visit my recent poetry posts on facebook at 'Alexandra J Cornwell - Poet'. My favourite poem, since first reading it at high school, is Judith Wright’s “Woman to Man” – although Les Murray and Bruce Dawe have their place in the Australian poetic landscape. Coincidentally, on the 20th April it will be 40 years since the death of the prolific Australian ‘drug poet’, Michael Dransfield. I wrote a short drabble about him on the ABC POOL project: http://pool.abc.net.au/media/michael. Last September I discovered the fun of 'drabbles' (100-word microfiction also on facebook at 'Byron Short Fiction 'Drabble' Writers'). I am finding inspiration in applying that format to non-fiction historical and current affairs topics. Poetry has been my way of blogging, though I’ve been inspired by looking through the pages of generous poets like yourself and have started my own: The Drabble Writer’s Table http://squeakythongs.wordpress.com/, which also includes a little poetry. I should get on with publishing my own so I can 'play it forward' next year! Great to have you all along & in the draw. Lovely to have another Aussie involved, Alexandra, I'm off to explore your drabbles! I have not had the chance to read any contemporary poetry. I don't know who or where to begin. Entering this contest seemed like a good way to start. Thank you very much for participating in this give away. Thanks for the lovely offer! Deb to Deb: please do count me in and thanks! Renee and Andrew! Congratulations to you both. I'll email you now to gather your postal details an then you can look forward to a parcel in the post. How exciting! Thanks to everyone who came by and participated.